Barbados High Court decided the law on cases like Mr. Garcia two years ago! Barbados Free Press has received a copy of an unreported Barbados court decision that is exactly on point in the Raul Garcia case. Please read this previous court decision (below or at the link above) and you’ll understand that it is Prime Minister Stuart and his government who are the lawbreakers now, not Raul Garcia. 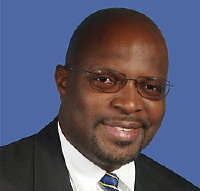 Laws and court orders: do they mean anything to our Barbados government? DLP or BLP doesn’t seem to matter – our governments do what they want regardless of court orders. This is an urgent application to secure the applicant’s release from Her Majesty’s Prison at Dodds (HMP Dodds) where he is detained pursuant to orders made by the Minister Responsible for Immigration under the Immigration Act, Cap. 190 of the Laws of Barbados. 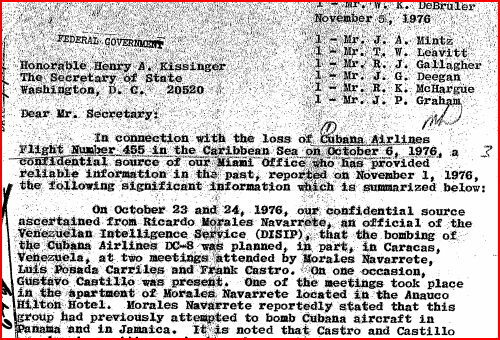 The applicant was born in Cuba on the 29th day of August, 1974. 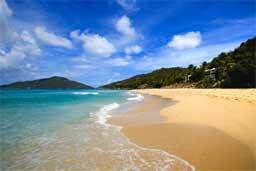 He entered Barbados as a visitor on August 24th, 2006 for a period of 1 month. On expiration of his 1 month entry permit, he applied for and was granted an extension of 15 days. Thereafter he illegally resided and worked in Barbados until January 22, 2008 when he was arrested by police and handed over to the immigration authorities. 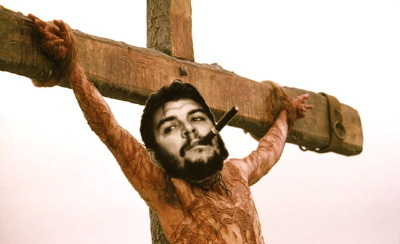 Some might think this article to be a strange way of commemorating Easter, Christ and his sacrifice, but others will I’m sure will appreciate the juxtaposition of Jesus and Che. Hell… the atheists do it all the time, so why can’t this Christian? And yes, this failed Christian has had a rum or four, but why should that stop him from firing up the old Dell and talking about false Messiahs? As Easter is upon us, we’ve republished a 2007 article We Know What Jesus Didn’t Look Like… Don’t We? Seven months pregnant and condemned to death for the crime of being a “counter-revolutionary”? No problem for Che. He pulled the trigger. Even the most barbaric societies allow a condemned pregnant woman to give birth before execution, but not Che. To this day Communists often punish entire generations for the misdeeds – real or imagined – of one of the family. I’m sure that Che would have simply loved North Korea. Just so you know my opinion of the icon Che, who also founded the CDR – Committees for the Defense of the Revolution. Here are a few quotes from Che that for some strange reason don’t appear in the new Apple iPod application of Che quotes. Just remember folks: don’t believe me, BFP, Reuters, the New York Times or the Barbados Advocate. When you read something, do your own research and seek out original sources of information. Do that for Che and let me know what you think. Happy Easter to our Bajan and Cuban communists.